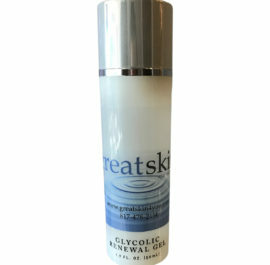 USE: Use twice daily for extra hydration after thoroughly cleansing skin. This “light” treatment lotion can be used under a daily moisturizer, sunscreen or night crème. BENEFITS: This treatment incorporates a high dosage of peptides, which help reduce surface areas of deep wrinkles and contribute to thickening of the epidermis by promoting collagen renewal. Studies have shown an increase in skin thickness of 4%, reduction in depth of wrinkles by 23% and reduction of depth of main wrinkle (crow’s feet) by 39% within 4 weeks. CoQ10, known for boosting skin repair, and reducing free radical damage, also included in this lotion. Anti-oxidants of Japanese Green Tea, Vitamin E and C protect the skin from environmental damage.